Business Development Representative 2 at Dell Inc. 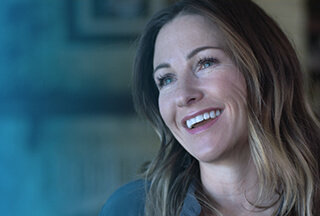 The Dell Boomi Inside Sales Organization, provides you an opportunity to engage and immerse yourself in an intense program that is designed to prepare you, to achieve career goals ranging across the entire sales organization. Everyone who joins our organization, begins their Boomi journey as a Business Development Representative (BDR.) In the BDR role, you learn the ins and outs of how to sell the Boomi platform as well as, how to engage and identify our ideal customer’s challenges and business goals. The typical BDR spends 9-15 months in role, depending on personal performance, after which you’ll have the opportunity to advance as an Inside Sales Representative. The ISR takes on greater responsibility by carrying a revenue based quota and running all aspects of the sales cycle. Once you’ve mastered the ISR Role, your career can take you in a number of different directions including, but not limited to, Field Sales (Account Executives), Leadership Roles, Channel Sales and Sales Operations. The ideal candidate to join the Boomi organization, is one who brings a passion for technology, sales and a strong determined work ethic. This person is a self-enabler, who is quickly able to establish and build relationships with people and is able to handle a dynamic but fun work environment. We look for people with natural leadership tendencies with the ability to be coached/mentored and are always looking to grow and learn. Successful sales reps at Boomi are able to persuade yet always have the customer best interest in mind. We are goal oriented people who are always looking to better our customers and ourselves. Identifies appropriate decision makers by navigating corporate structures to determine the buying process. Initiates conversations with decision makers to introduce Dell Boomi integration solutions and educate on the value of those solutions. Documents prospect conversation results and updates Salesforce.com with clear and concise notes. Accessibility to Leadership - How do WE hit your number philosophy!